BevMo! needed to consolidate their 10-year old security system for their California BevMo! stores – which was comprised of devices from six separate vendors – to stop an organized retail crime ring that resulted in tens of thousands of dollars in lost merchandise at several California BevMo! stores. STANLEY Security standardized BevMo!’s security by adding 3xLOGIC video surveillance system and Ademco VISTA Intrusion Detection into one integrated security system. 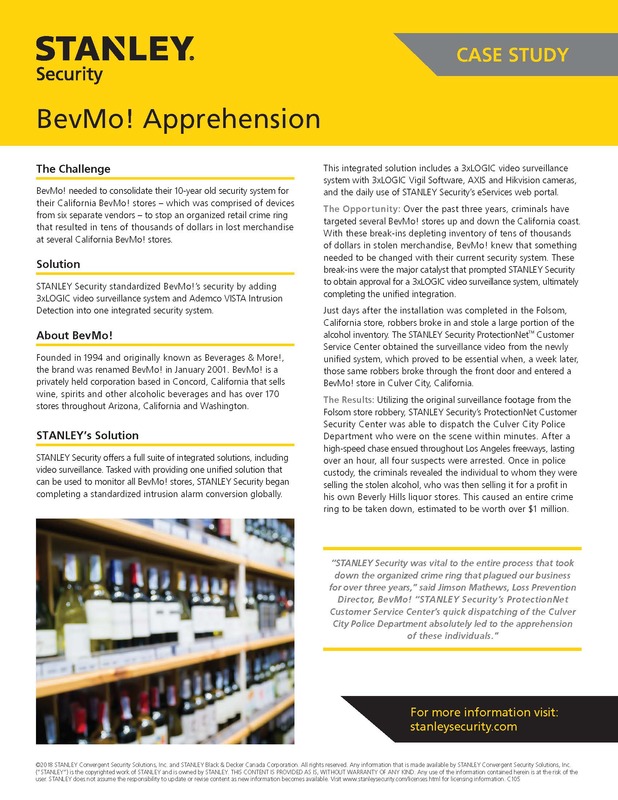 Download this case study to learn more about how the unified solution STANLEY integrated for BevMo! aided in the apprehension of an organized retail crime ring in California.